Earlier this week, Google announced at its I/O technical developer conference the next update of its Android operating system as 4.1, or Jelly Bean. This is an incremental update, which concentrates mainly on improving the user interface to produce a smooth and fast experience. Ice Cream Sandwich, the 4.0 release of Android, was well received and rightly so, with improved responsiveness alongside a new UI design. 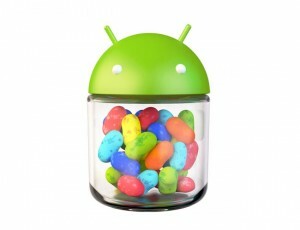 Jelly Bean takes this one step further by adding further new features to produce a richer and considerably smoother OS. Google has also used this update to place its search functionality at the heart of the Android experience, with a new look and feel and a faster response to your questions. Now, when you launch the voice search app, you’re met with a clean, sparse screen that enables you to tap a microphone icon that turns red when you deliver your question. This update is meant to produce more accurate results with improved voice recognition and more natural, targeted results to your queries. Results can be delivered via web searches as well being spoken back to you by Android’s version of Siri. Another neat feature of Jelly Bean is that it provides you with more control over the placement and structure of your apps and widgets on your home screen. Now, when placing widgets on your screen, you have the power to re-size them and change their shape, or they’ll re-size automatically. When Will Jelly Bean Become Available? Jelly Bean will initially be rolled out across the Nexus S, Galaxy Nexus and rather surprisingly, the Motorola Xoom, in mid-July. Google will also released the software development kit (SDK) to developers at the same time, meaning that Samsung, HTC and the other big-hitters in the Android mobile development market will begin to customise it for their own devices.